This is the 16th in our series ‘Australia in Space’ leading up to ASPI’s Building Australia’s Strategy for Space conference. As recently as last Thursday, a post on The Strategist claimed, ‘Like Australia, no country in Southeast Asia currently has a launch industry despite strong satellite development.’ I think the author forgot to consider New Zealand, which is home to the world’s only private orbital launch facility—Rocket Lab’s Launch Complex 1 on the Mahia Peninsula. The site offers the widest range of orbital inclinations of any launch site on the globe. 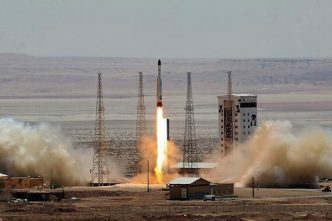 Over the past few months, the company has successfully launched four small satellites in low-earth orbit as part of a demanding test program in the lead-up to full commercial operation. When a 14-day launch window opens from 23 June to 6 July, Rocket Lab plans to send five satellites into orbit, from four different organisations, in one US$5.7million mission. This ‘rideshare’ concept is key to the company’s launch economics. Rocket Lab’s responsive space model is crucial to support the exponential growth of the small satellite market. 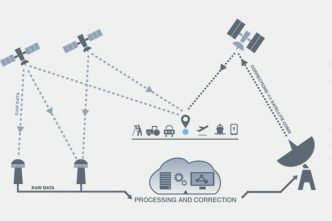 Small satellites are playing an increasingly important role in providing crucial services that benefit millions of people on earth. Frequent access to orbit is the key to unlocking the potential for these satellites, and Rocket Lab is the only small launch provider currently enabling this access. It’s his vision, drive, and communications and engineering skills that have brought his organisation to this stage. Now 41, Beck was born in Invercargill and grew up in an engineering family. While at high school, he pulled an old Mini apart and rebuilt it part by part, souping it up with a turbocharger. A tool-making apprenticeship at 18 gave him access to materials and advanced machinery that he could use after hours, working out, and then constructing, his rocket designs. Beck set up Rocket Lab in Auckland in June 2006, at around the same time as he met investor Sir Stephen Tindall of venture capital firm K1W1 Ltd. Beck’s track record as a skilled engineer and his ability as a communicator of ideas led to the formation of Rocket Lab USA with additional backing from US companies Bessemer Venture Partners, Data Collective, Kholsa Ventures, Lockheed Martin and Promus Ventures. The New Zealand company is now the US company’s wholly owned subsidiary. Rocket Lab’s two-stage launch vehicle, Electron, makes use of advanced carbon composite materials for a strong and lightweight flight structure. Through an extensive research program, Rocket Lab has developed carbon composite tanks that are compatible with liquid oxygen, providing impressive weight savings. The Electron rocket’s first stage is powered by nine 3D-printed Rutherford engines. They’re the first oxygen/kerosene engines to use 3D printing for all primary components, taking 24 hours per engine. Rutherford’s unique high-performance electric propellant pumps reduce mass and replace hardware with software. Electron’s second stage is powered by a variant of the Rutherford engine, providing improved performance in vacuum conditions. An optional apogee (farthest point from earth) kick stage, powered by Rocket Lab’s 3D-printed liquid propellant Curie engine, can execute multiple burns to place numerous payloads totalling up to 130 kilograms per launch into different circularised orbits. It opens up significantly more orbital options, particularly for rideshare customers that have traditionally been limited to the primary payload’s designated orbit. Meanwhile, Alan Gilmour, CEO and founder of Gilmour Space Corporation in Singapore and now Gilmour Space Technology in Queensland, has announced plans to launch a suborbital rocket in the first quarter of 2019. It will have a maximum payload of 130 kilograms up to an altitude of 150 kilometres. 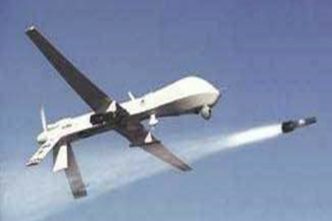 The estimated payload price is US$9,000 per kilogram. The company intends to launch its Eris rocket into low-earth orbit during 2020, with a maximum payload of 400 kilograms and estimated price of US$25,000 to $38,000 per kilogram, depending on contracted payload mass. Upwards of US$10 million for a full payload launch is a low figure that’s previously unheard of in the satellite launch business. 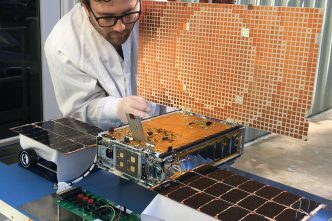 With Gilmour Space’s technology and low-cost launch capabilities, small satellite launches could easily be a ‘low-hanging fruit’ for Australia. Our significant progress puts us as one of the front-runners in today’s global small launch market, and we look forward to working with commercial, civil and defence partners to build a stronger and more vibrant domestic space industry in Australia and Singapore. These two space initiatives, one on either side of the Ditch, confirm possibilities for a vibrant small satellite space industry in Australasia. I expect that ASPI’s space conference will reach the same conclusion. Geoff Slocombe is a freelance defence journalist and farmer, also involved with his family’s rural vineyard and winery. Image courtesy Flickr user Grumpy Eye.